This week's theme: Two tales from above and below the shore! The first in a heart-stopping trilogy that recalls the undeniable feminine power of Wonder Woman and the powder-keg action of Mad Max: Fury Road, Seafire follows the captain of an all-female ship intent on taking down a vicious warlord's powerful fleet. After her family is killed by corrupt warlord Aric Athair and his bloodthirsty army of Bullets, Caledonia Styx is left to chart her own course on the dangerous and deadly seas. She captains her ship, the Mors Navis, with a crew of girls and women just like her, who have lost their families and homes because of Aric and his men. The crew has one misson: stay alive, and take down Aric's armed and armored fleet. 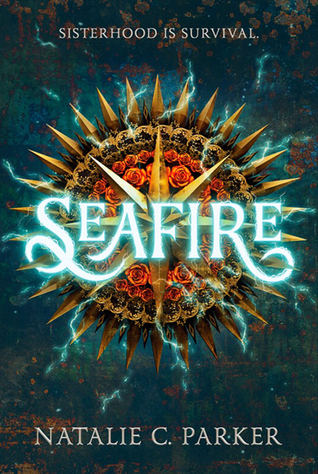 Pairing gorgeous prose with pulse-pounding action, Seafire reminds us of the importance of sisterhood and unity in the face of oppression and tyranny. Generally, if it's a pirate book, I want to read it... but a pirate book with a female captain and an entire female crew? Automatic need. On a side note, how much do you guys want to bet that the person who designed this cover is the same person who designed the U.S. edition of Stephanie Garber's Caraval? Natalie C. Parker wears many hats: author, editor, entrepreneur. She is the author of Southern Gothic duology Beware the Wild (a Junior Library Guild Selection) and Behold the Bones (both available from HarperTeen) as well as the forthcoming Seafire Trilogy (Razorbill, 2018). Her first anthology, Three Sides of a Heart, is an exploration of the love triangle (HarperTeen, 19 Dec 2017). Parker is the founder of Madcap Retreats, an organization offering a yearly calendar of workshops and retreats for aspiring and established writers. Though she earned her BA in English literature from the University of Southern Mississippi and her MA in gender studies from the University of Cincinnati, she now lives on the Kansas prairie with her wife. Deep beneath the sea, off the cold Irish coast, Gaia is a young mermaid who dreams of freedom from her controlling father. On her first swim to the surface, she is drawn towards a human boy. She longs to join his carefree world, but how much will she have to sacrifice? What will it take for the little mermaid to find her voice? Hans Christian Andersen's original fairy tale is reimagined through a searing feminist lens, with the stunning, scalpel-sharp writing and worldbuilding that has won Louise her legions of devoted fans. A book with the darkest of undercurrents, full of rage and rallying cries: storytelling at its most spellbinding. "Hans Christian Andersen's original fairy tale is reimagined through a searing feminist lens"
I need to read this as soon as possible! Also, how fabulous is that cover?! Louise O'Neill is from Clonakilty, in west Cork. After graduating with a BA in English Studies at Trinity College Dublin, she went on to complete a post-grad in Fashion Buying at DIT. Having spent a year in New York working for Kate Lanphear, the senior Style Director of ELLE magazine, she returned home to Ireland to write her first novel. She went from hanging out on set with A-list celebrities to spending most of her days in pyjamas while she writes, and has never been happier. What do you guys think? Have you heard of these books before? 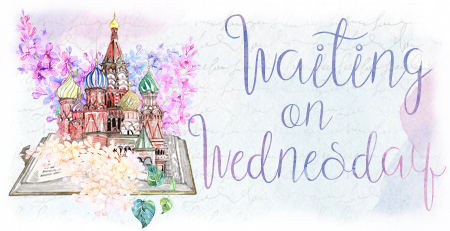 Are they already on your TBR? Is this the first time you're hearing about them? Let me know! Oooh nice! Started to hear about these two! Definitely ones I will be keeping an eye on!! Caledonia sounds like my type of girl! Seafire looks very good, plus that cover is awesome. And pirates. :) This is one of those I might get for the cover even if I didn't WANT to read it- which I do! Oh man... I do think you made me want both of these books! Ohhhh my goodness! 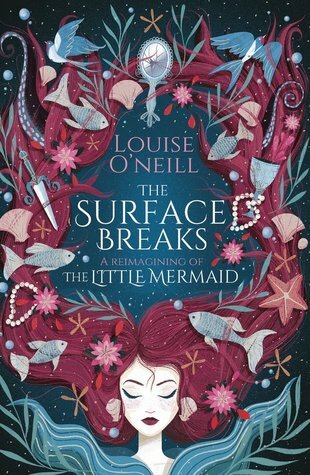 The Surface Breaks is a new one to me but I already know I need it in my life. THAT COVER!! Eeeep! So excited for Seafire!!! Omg!! The Surface Breaks one looks amazing. Immediately added it to my TBR! Hadn't heard of either of these, but pretty sure I need to read both! Thanks for bringing them to my attention. Off to add to my TBR!! Wonder Woman? Mad Max? I need Seafire in my life. Why haven't heard of this book before? WHY?! Holy crap, Seafire sounds SO good! Omg Brittany, you always point me towards the best books for the upcoming year. :D And you're probably right - the style is very similar to the Caraval one. 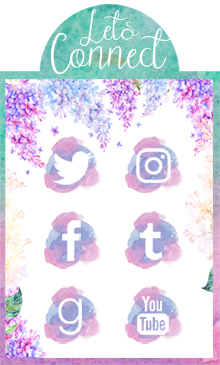 It's a pretty cool simple one! Super super excited about Seafire! It'll be the first book by that author that I'll try. =) The Surface Breaks is new to me. I hope you enjoy both of these books, Brittany! Oh, I'm down for anything Natalie C. Parker writes! And The Surface Breaks sounds so good! Great picks! Thanks for stopping by! Happy reading! I didn't give Seafire a second thought until I read and loved Daughter of the Pirate King. Now I'm itching for more female pirates.